Having a hard time keeping your little one out of the kitchen while you prepare for Thanksgiving’s festivities? My daughter thinks the oven is her personal playplace, much to my chagrin. Thankfully, we will be spending the holidays with extended family and letting others cook for us (and the baby in my 36-week-pregnant belly rejoices). Thanksgiving door hangers would be a fun addition to the front door even a toddler can help decorate. Older kids can do a Thanksgiving Day word search. You could have your kids cut out the word search and glue it to sheets of construction or scrapbook paper for any children coming to your Thanksgiving feast. It will give the kids something to do while they wait on the food! Fall or Thanksgiving-themed scrapbook paper would give the word search a festive feel. Oreo Thanksgiving turkeys are adorable to see, easy to make, and yummy to “gobble” down! Napkin rings made of paper-towel tubes and scrapbook paper add a festive touch and keep little hands busy gluing while you’re basting the bird. Even toddlers can rub a leaf on newspaper. You can cut them out and then together string them on some twine to hang. Adorable! 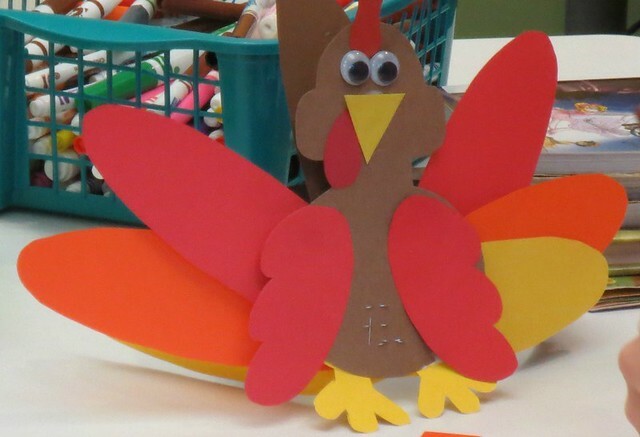 Do you have a favorite Thanksgiving craft? Happy Thanksgiving from the ParentLife staff and Jessie, Resident ParentLife Blogger! I really thought that I had reached the end of the line when it came to sports for our boys this past year. The school year is so long, and both boys played baseball last fall, basketball in winter, and baseball again in the spring. They had fun, but both boys happened to be on teams with the worst records for their age groups in spring baseball … yikes! So the season felt longer than usual. We were all ready for a summer break. As always, summer went by so quickly too. It was difficult enough to get geared up for school, nonetheless another sports season. I was late getting Christopher registered for his fall baseball. Jonathan was running for his new school, so we were excited for him to start his season but all a little nervous at the new undertaking. Jonathan was a little nervous, and it was hot. Evidently it was just under the heat index max that they will even let students run. The race started downhill, which meant a lot of the kids went out too fast–Jonathan included. But we were so proud! And it doesn’t hurt that the entire race is over in under 20 minutes! Christopher had the first game of his baseball season tonight, so it has felt like double duty this week. Got to love those 7:00 game times on a school night! The game was fun. Christopher’s team won in the last at bat –always a fun way to win! So the sports bug has hit me again! It is always so much fun to watch and play. I’m sure around May you will hear me wishing it all to end again, but the Fall sports season has got me hooked for now! I would love to hear how you manage sports, school, and church this time of year. I could use all the help I can get! How do you guys manage it all? Tomorrow, August 11, is the sixth annual Dairy Queen Miracle Treat Day. For each Blizzard sold, $1 or more will be donated to the Children’s Miracle Network Hospitals. What a wonderful (and tasty!) way to help a fantastic organization. Children’s Miracle Network Hospitals® raises funds for 170 children’s hospitals across North America, which, in turn, use the money where it’s needed the most. When a donation is given it stays in the community, ensuring that every dollar is helping local kids. Since 1983, Children’s Miracle Network Hospitals has raised more than $4 billion, most of it $1 at a time. 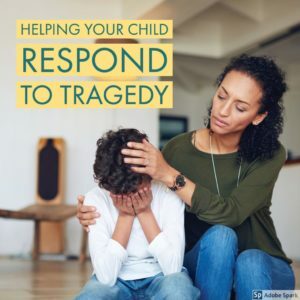 These donations have gone to support research and training, purchase equipment, and pay for uncompensated care, all in support of our mission to save an improve the lives of as many children as possible. Learn more at CMNHospitals.org. Last year Dairy Queen raised over $5.5 MILLION dollars for CMN Hospitals! Wow! I guess people really like their Blizzards! I’ve wondered a lot lately what it means to be a grown-up. Does becoming a parent automatically make you grow up? What about those who become parents at 13, 14, even 17? What is the bridge you have to cross in order to feel grown-up? At 29, I’m still often confused that I have responsibility for two children and a household. I still picture myself as the shy 14-year-old girl that begged her mother to let her quit the magnet high school. The 15-year-old with a heart full of romantic hope but unkissed lips. Freshly 18, sweating against the wall as I wait for my college paperwork. They say many people recall high school or college as the best years of their lives; and, while my college days are very dear to me, I can’t say that they are the highlight of my life. Doesn’t that put a limit on the future? Can shoving seven people in my red Eagle Vision to go through the Wendy’s drive-in compare to seeing the face of my daughter for the first time? We spend life reconciling inside and outside, what we are and what we feel. I wonder if anyone ever truly feels like a grown-up. I thought I would: when I got married, when I had my first child, when I had two kids. It hasn’t happened yet. Has it for you? When Jessie Weaver is not busy being the resident ParentLife Blogger, she writes at Vanderbilt Wife and also for magazines like HomeLife and ParentLife. She lives in Chattanooga with her husband, where they run after two little ones: Libbie (2) and David (7 months). And yes, that picture is, in fact, of her, around age 14. Thirteen-year-old Makenna gets creative with her pretzel while at Blume in Orlando, Florida, with the Acteens from her church! Thanks to Heather P. for this great photo! Q: How important is it for me as a parent to play with my child? I feel like I have so much to do during the day. My child has playmates in our neighborhood and likes to play alone with toys. I use playtime to get household chores done, but I am wondering if she needs more of my time. A: I love your question because you intuitively know that being a Martha mom requires a bit more Mary time (Luke 10:38-42)! Playtime with you is important for your child no matter how many friends and activities she has. No one can make your child feel as special as you can. It is worth taking time each day to engage in pretend play. Play is a learning activity that encourages verbal and logical skills and the development of relationship skills. Studies show that parents who play with their children have kids with better self-esteem and who are reinforced in their imaginations and creativity. So here are a few ideas. Instead of cleaning with your mop, make it a puppet. 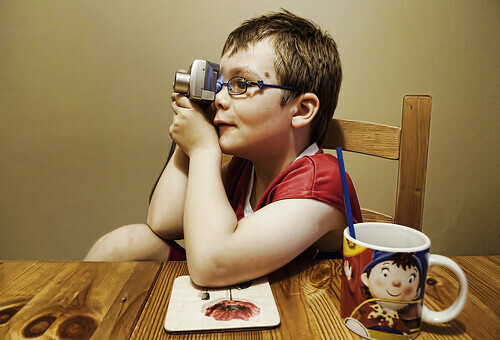 Have your child develop a theme and become part of the pretend world. Be silly and have fun. You can play with puppets and stuffed animals and use them to teach your child real-life situations that present your values. Old-fashioned games such as hide and go seek, hopscotch, and acting out a fairy tale are easy to do and will bring you and your child closer together. Put down the dust rag and play with your child. She won’t remember a clean house as much as the fun she had with Mom. "I want what she has." How many of us have said that? I sure know that I don’t have it all together. Trying to be a full-time mom, housekeeper, wife, and freelancer usually explodes in my face. My house is a mess. My toddler watches too much TV. My baby doesn’t get as many baths as he should. The laundry is piled everywhere. There are ants dancing in the kitchen. Ariel Baxter has moved into the neighborhood of her dreams — and the chaos of raising three children moved with her. Then she meets her neighbor, Justine Miller. Justine ushers Ariel into a world of clutter-free houses, fresh-baked bread, homemade crafts, neighborhood playdates, and organization techniques designed to make marriage better and parenting manageable. Soon Ariel realizes there is hope for peace, friendship, and clean kitchen counters. But when rumors start to circulate about Justine’s real home life, Ariel must choose whether to believe the best about the friend she admires or consider the possibility that "perfection" isn’t always what it seems to be. I haven’t read this book yet, but it was featured by the Christian Fiction Blog Alliance, so I was able to read several reviews. From what I read, it’s a heart-piercing novel that is both fiction and true to life. It may be a smack in the face … or just the assurance you need that no one has it all together, really. Winners will be selected at random September 1, 2011. USA only. LifeWay employees are not eligible to win.